Adopted on December 4, 1990. In 1990, Kalkaska Sand was chosen as the state soil. First identified as a soil type in 1927, Kalkaska sand ranges in color from black to yellowish brown. It is one of more than 500 soils found in the state. Unique to Michigan, Kalkaska sand covers nearly a million acres in 29 Upper and Lower Peninsula counties. The Kalkaska series is one of the earliest soil series to be recognized in Michigan. It was first described in 1927, in Kalkaska County, which is the source of the series name. 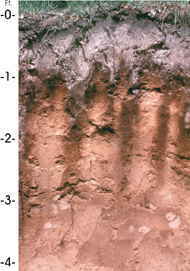 Kalkaska soils occur in both the Upper and Lower Peninsulas of Michigan and in 29 of the state's 83 counties. There are over 750,000 acres of these soils in Michigan. Public Act 302, the State Soil Bill, enacted on December 4, 1990, established the Kalkaska series as the Official State Soil. Kalkaska soils formed in sandy deposits left by the glaciers that once covered Michigan. These soils are used primarily for hardwood timber, namely sugar maple and yellow birch. Some areas are used for the production of Christmas trees or for specialty crops, such as potatoes and strawberries. 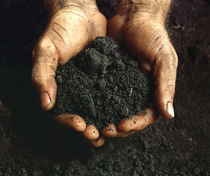 The soils also are used for wildlife habitat and building site development. The Kalkaska series consists of very deep, somewhat excessively drained soils formed in sandy deposits on outwash plains, valley trains, moraines, and stream terraces. Slope ranges from 0 to 70 percent. Mean annual precipitation is about 762 mm (30 inches), and mean annual temperature is about 6.1 degrees C (43 degrees F). SERIES ESTABLISHED: Kalkaska County, Michigan, 1927. The law designating the Kalkaska soil series as the official Michigan state soil is found in the Michigan Compiled Laws, Chapter 2, Section 2.61. 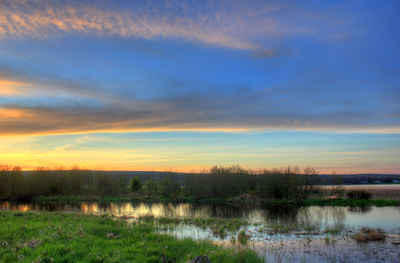 The Kalkaska soil series is adopted as the official soil of this state.